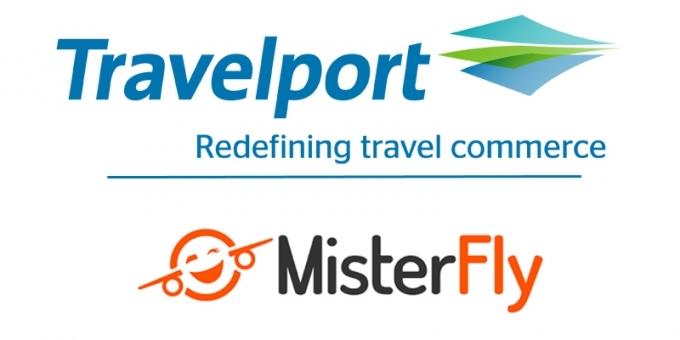 Langley, U.K., 2017-Apr-05 — /Travel PR News/ — Travelport (NYSE: TVPT), a leading Travel Commerce Platform and innovative French Online Travel Agency (OTA), MisterFly, have today announced the online integration of its innovative merchandising technology. Over 200,000 customers have already traveled with the award winning Paris-headquartered OTA. MisterFly takes advantage of Travelport’s Universal API to connect to Travelport’s ground breaking merchandising technology, Travelport Rich Content and Branding. This technology significantly helps airlines display their branded fares and ancillaries content in a graphically rich, visual way. Over 200 airlines across the globe, including Air France, are now live with Travelport’s world of unrivalled, consumer ready content, offering a deeper understanding of the airlines’ full offering, upselling revenue opportunities to the travel agent community. Through Travelport’s innovative Travel Commerce Platform, MisterFly has further improved its innovative and high quality customer service to provide the new Air France Group offers, launched at the end of 2016, to its B2B customers at MisterFly Pro. By providing an improved level of detail and choice, MisterFly enables its customers to better compare and understand descriptions for products such as the “Light”, “Standard” and “Flex” for Europe, and “Basic”, “Basic Plus” and “Smart” for France. Travelport is a Travel Commerce Platform providing distribution, technology, payment, mobile and other solutions for the global travel and tourism industry. With a presence in approximately 180 countries, approximately 4,000 employees, and an additional approximately 1,000 employees at IGT Solutions Private Ltd who provide us with application development services, our 2016 net revenue was over $2.3 billion. A Travel Commerce Platform through which it facilitates travel commerce by connecting the world’s leading travel providers with online and offline travel buyers in a proprietary business-to-business (B2B) travel marketplace. Travelport has a leadership position in airline merchandising, hotel content and rate distribution, mobile travel commerce and a pioneering B2B payment solution that addresses the needs of travel intermediaries to efficiently and securely settle travel transactions. Travelport is headquartered in Langley, U.K. The Company is listed on the New York Stock Exchange and trades under the symbol “TVPT”. The award winning Paris-headquartered OTA MisterFly is the foremost specialist in online booking and travel. With 20 years of experience behind them, trailblazing business partners Nicolas Brumelot and Carlos Da Silva launched MisterFly in September 2015. The sheer extent and competitiveness of MisterFly’s offering in terms of full service carriers, low cost carriers and charter flights is coupled to an equally broad range of accommodation options, with more than 400,000 hotels available in 180 countries. MisterFly makes customer service, transparent pricing and flexible, simple booking its top priorities. These commitments are at the very core of MisterFly’s approach to doing business and they are underpinned by the ultimate goal of satisfying customers, travel agency partners and stakeholders. On the innovation front, MisterFly also offers a number of ground-breaking services. These include “unconditional cancellation insurance”, “4X credit card payment », the Iziwifi internet connection device and the Flexy ticket option. This strive for quality and innovation has been essential in convincing vente-privee, the world leader in event sales, to join forces with MisterFly by offering flights through its own website using MisterFly’s services. With a funding round in June 2016, MisterFly was able to raise €20 million through investment partners Montefiore Investment and vente-privee, which has given MisterFly the chance to develop new offerings and expand its operations in Europe. 367,000 passengers travelled with MisterFly in 2016, with the company achieving sales figures totalling €111 million for the same period. This entry was posted in Corporate Travel, Tour Operators, Travel, Travel Agents, Travel Apps, Travel Management, Travel Services, Travel Tech, Travel Tips & Info, Travelers, Trips and tagged B2B, Carlos da Silva, Emmanuel Bourgeat, Flexy, French Online Travel Company, Iziwifi, MisterFly, Nicolas Brumelot, OTA, Travel Commerce Platform, Travelport, Travelport Rich Content and Branding. Bookmark the permalink.